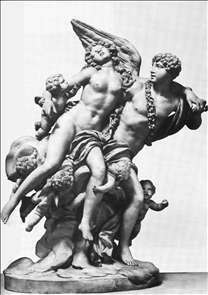 Clodion (original name Claude Michael), French sculptor whose works represent the quintessence of the Rococo style. 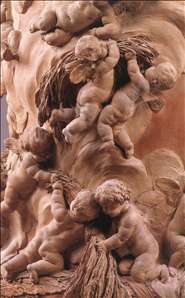 He was the son-in-law of Pajou and the nephew of Lambert-Sigisbert Adam. 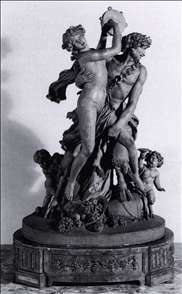 In 1755 Clodion went to Paris and entered the workshop of Lambert-Sigisbert Adam. On his uncle s death, he became a pupil of Pigalle. 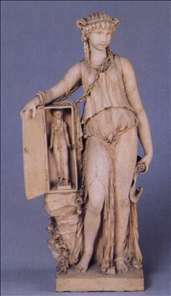 In 1759 he won the grand prize for sculpture at the Acadmie Royale de Peinture et de Sculpture, and in 1762 he went to Rome. Catherine II was eager for him to come to St. Petersburg, but he returned to Paris in 1771. There he was successful and frequently exhibited at the Salon. 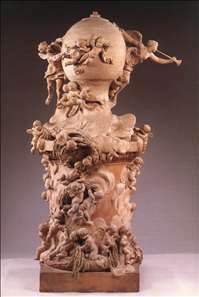 Clodion worked mostly in terra-cotta, his preferred subject matter being nymphs, satyrs, bacchantes, and other classical figures sensually portrayed. 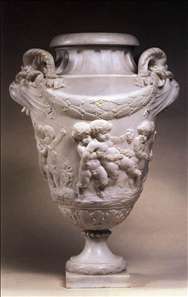 He was also, with his brothers, a decorator of such objects as candelabra, clocks, and vases. 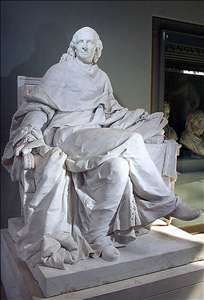 Perhaps because of his apparent unwillingness to be seriously monumental, he was never admitted to the Acadmie Royale. 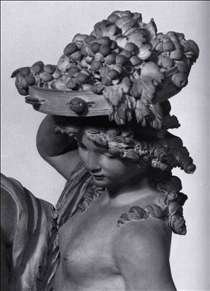 Nevertheless, after the Revolution had driven him in 1792 to Nancy, where he lived until 1798, he was flexible enough to adapt himself to Neoclassical monumentality - the relief on the Arc de Triomphe du Carrousel, representing the entry of the French into Munich, is an example. 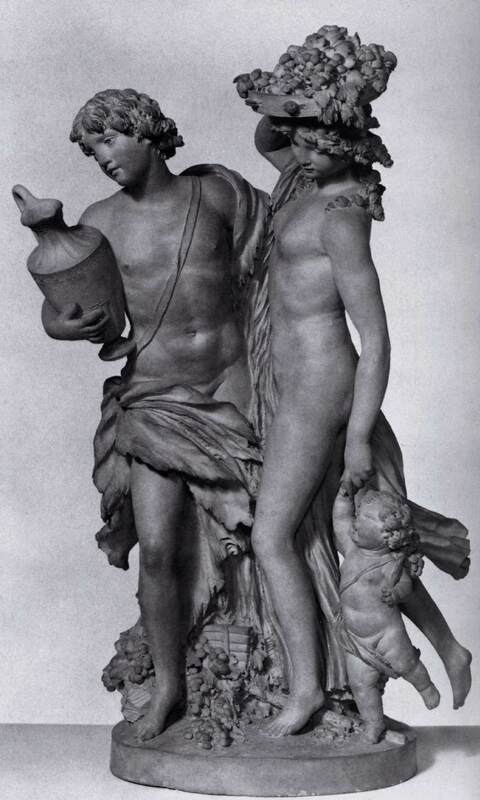 See more details about "Satyr and Bacchante"
See more details about "Satyresses and Baby Satyrs"
See more details about "Vase"
See more details about "Amor and Psyche"
See more details about "The Invention of the Balloon"
See more details about "Pair of Bacchic Figures with a Child"
See more details about "Pair of Bacchic Figures with a Child "
See more details about "The Invention of the Balloon "
See more details about "Egyptian Woman with a Statue of God"
See more details about "Montesquieu"